We are a paperless office. All records are easily accessible and allows for increased efficiency in communicating with our patients and co-managing doctors. 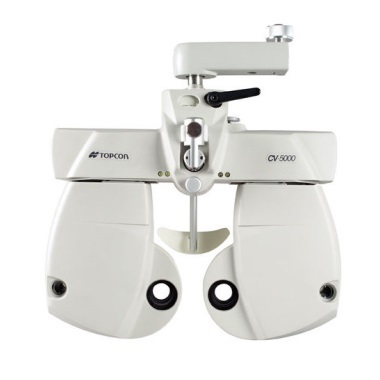 Most equipment is automated to increase accuracy and efficiency of our eye examinations allowing for more doctor and patient discussion time. To ensure the highest possible level of care, Davisville Eye Care uses the latest in vision care technologies to help diagnose, treat and manage various eye diseases. 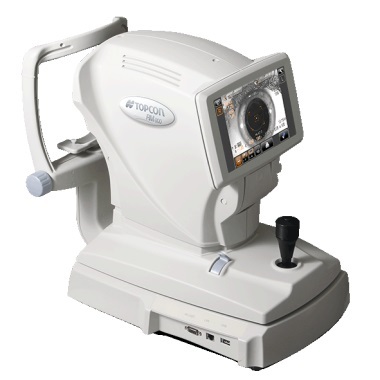 The phoropter is used during the exam to determine a patient’s refractive error and prescription for glasses. Various powered lenses are presented in front of the patient’s eyes and choices are made by comparing between 2 set of lenses when determining their eyeglass prescription. The advantages of the automated phoropter compared to the traditional phoropter (the “big glasses” ) is the ability to present old prescription and new values for quick comparison, reduced risk of human error with direct transmission of results to electronic medical record used in a paperless office and improved office efficiency. Digital retinal imaging is highly recommended by all our Optometrists as part of your eye exam. The image is as unique as your fingerprint and provides us with a look at the health of your retina and documents it for future comparison. The retina is the part of your eye that captures the image of what you are looking at, similar to the film in a camera. Many eye problems may develop in the retina without warning and progress with no symptoms. These images can be used to detect subtle changes from year to year and provide the opportunity for you to view and discuss images of your eye with your Optometrist during your exam. 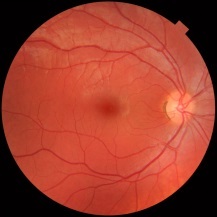 The optical coherence tomography (OCT) is a medical imaging technique that allows each of the retina’s distinctive layers to be seen so your Optometrist can map and measure their thickness. These measurements help with the early detection, diagnosis and treatment of retinal diseases and conditions including age-related macular degeneration and diabetic eye disease. OCT delivers high resolution imagery because it is based on light rather than sound or radio frequency. This ability to capture imagery like a low-power microscope, has the medical community very excited and is becoming standard of care for most eye specialists. An auto-refractor is an instrument used to quickly measure a person's refractive error and prescription for eyeglasses or contact lenses. This is achieved by measuring how light is changed as it bounces off the back of a person's eye. The automated refraction technique is quick, simple and painless. No feedback is required from the patient during this process. 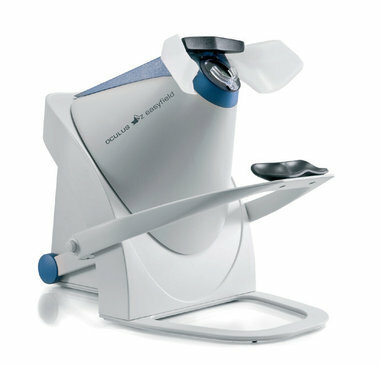 The auto-keratometer is used to determine the shape of the cornea. It does this by looking at the reflection of light off of the cornea at different points. These measurements are used to diagnose conditions such as astigmatism, keratoconus, corneal scarring and corneal distortion. A keratometer is used to fit contact lenses as well.The combined measurements become a starting point in determining your spectacle and contact lens prescription. The visual field instrument tests your peripheral and central vision. This automated projection perimeter shines a spot of light onto the back of the eye at predetermined locations and intensities. You are asked to press a button when you see the stimulus. Your responses are analyzed statistically and compared with a database of people your age, both with and without various conditions. 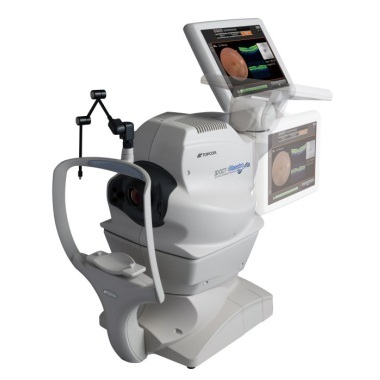 A visual field is used for diagnosis and management of glaucoma, macular degeneration, and systemic conditions such as a brain tumors and strokes. Intraocular pressure testing is important in detecting glaucoma. However, most patients are nervous with this testing when done with the air puff. 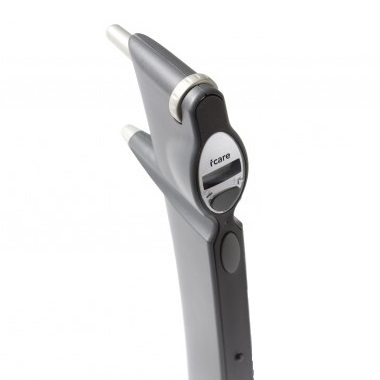 Our office has the option of using the ICare tonometer, which is a very light probe that makes momentary and gentle contact with the cornea. The measurement is barely noticed by the patient and often does not even cause corneal reflex. The device makes measuring the IOP a more pleasant experience on patients but also more successful with non-compliant patients such as children. This is also great for pregnant woman or nursing mothers and patients who may be allergic to anesthetics, as no medication is required to perform the test.